I will date myself by admitting that I REMEMBER the advent of the horrid "seedless" watermelon. I was a kid. It seemed like a good idea at the time. "Yeah," thought people, "Watermelon seeds are kind of a pain. You have to spit them out. Plus, my dad said if you swallow them, they grow in your stomach and out your ears. Awful stuff." And so, despite the pallid light pink color and the lack of flavor and juiciness, the seedless watermelon seemed to take over all watermelon sales in this country. It happened so quickly that I don't even know if anybody really knew what happened. 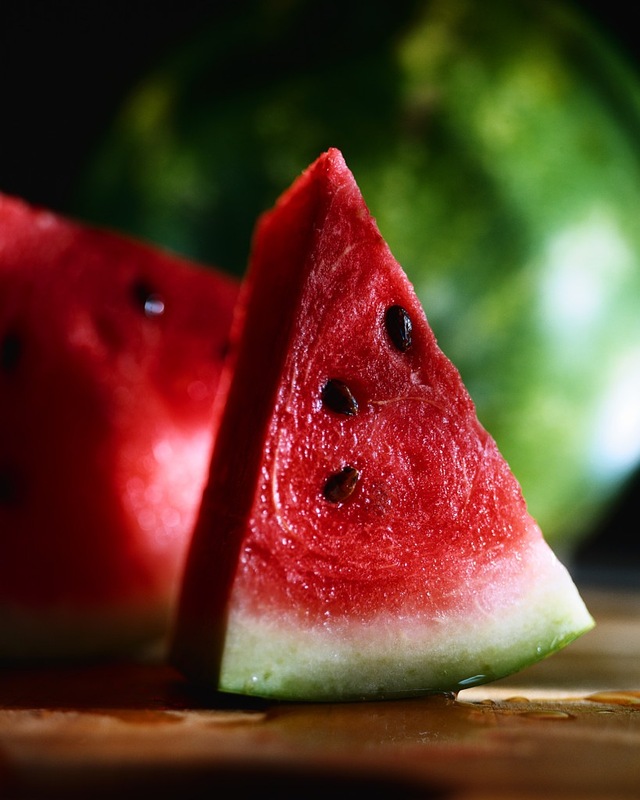 One summer the seedless was introduced and by the next summer there was nary a seeded watermelon to be found. We got used to it. 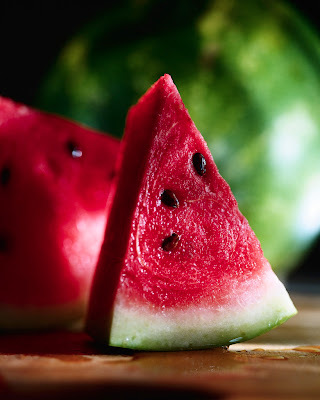 After all, even a seedless watermelon is still a watermelon and watermelons are yummy! The way a watermelon COULD be. Juicy. Red. Dripping. Tasty. Crisp. Huge. The taste of summer. Sure there were seeds, but they were so WORTH IT! Last week I drove across town to a grocery store I don't usually go to and found- a giant seedED watermelon. I took it home and cut it open. My children had actually NEVER seen a black watermelon seed. It was an incredible experience eating it. Truth is, I will NEVER go back to the bland, yucky, pale, seedless watermelon. The real thing is worth the drive and the effort. Wait, isn't this a birth blog? Most women in the US hire an obstetrician (or OB) to be their care provider during the time of pregnancy and birth. It is normal. It is how "everybody" does it. It is what insurance covers. Of course the OB will tell you that you SHOULD hire an OB. (Of course he would! Always question the man with the money in his hand.) It is "safer" to birth with an OB. They know how to handle things if (WHEN) they go wrong. This isn't the dark ages. Be grateful for a doctor and use him. But ladies, this is a LIE. In fact actual studies have found that for a low risk woman, a midwife is a better option. Really- check this one out. Wait there is ANOTHER study that found better outcomes with a nurse midwife! Oh, and ANOTHER one! There's just SO MANY! What do these studies say about the difference between an OB and a midwife? "RESULTS:For measures that relate to the processes of care (e.g., epidural, labor induction, episiotomy), lower use was found for CNMs. For many of the infant outcomes (e.g., low Apgar, low birth weight, neonatal intensive care unit admission), there were no differences between physicians and CNMs. Perineal lacerations were lower and breastfeeding was higher among women cared for by CNMs compared with physicians." "Certified nurse-midwives were less likely to use continuous electronic fetal monitoring and had lower rates of labor induction or augmentation than physicians. Certified nurse-midwives also were less likely than physicians to use epidural anesthesia. The cesarean section rate for patients of certified nurse-midwives was 8.8% vs 13.6% for obstetricians and 15.1% for family physicians. Certified nurse-midwives used 12.2% fewer resources." Basically, if you use a CNM (a Certified Nurse Midwife) in a hospital you will have a baby that is as healthy but you will lower your chance of c-section, increase your chance of breastfeeding, lower your chance of perineal laceration (ouch), and increase your chance of an unmedicated birth. Frankly, that sounds pretty good to me. Unless you WANT to have a lacerated perineum. I do want to make a few things clear though. These studies were done looking at CNMs or Certified Nurse Midwives. These are generally registered nurses who have taken advanced training in midwifery. They usually (but not always) work within a hospital (though some do run birth centers or do home births). There are ALL KINDS of midwives and their legality, availability and training vary from one state to the next. If you birth with a midwife you MUST birth at home- This is NOT true. Many midwives work only in the hospital. This type of midwife (CNM) has medical training and often works within a hospital and with a physician. Depending on what you desire this may be perfect for you or too restrictive. There are different options for different women. Midwives just have hot towels and sticks for use at a birth- What?!! This is false. Often home birth midwives are CPMs or Certified Professional Midwives. (The certifications of a home birth midwife vary widely. Check out your state and what is legal there.) Though a CPM is not a CNM and their training and approach is sometimes different, some women prefer a CPM. If you desire a home birth, a CPM is often who you will find to attend your birth. As with any care provider, huge variations abound. I encourage every woman to find a midwife who is skilled, experienced, and who matches what other qualifications you desire. I like an experienced midwife who has seen many births, but everybody is different. My CPM brought oxygen, drugs and herbs for hemorrhage, an IV if needed, vast experience in suturing, equipment to monitor the baby, and much much more. Even if you choose to birth at home with a CPM, that does not mean that sticks and hot towels are the extent of technology that she will posses. When it comes to care providers in the current birthing climate, I fear we have taken the same tasteless road as the seedless watermelon. Many women don't even know that midwifery care is an option. But it almost always is in some form in each community. "She took time to answer my questions." "I knew after my first visit that this was what prenatal care SHOULD be." There are two stores in my town that have seeded watermelons. One is across town. The other charges an arm and a leg for them. But once I REMEMBERED what a watermelon could taste like, I wouldn't go back. Even though it took more work, even though it was different than what everybody else was doing, it was worth it. We as a country have forgotten about midwives. We have forgotten that our prenatal and birthing care doesn't have to feel like an assembly line. We don't have to be stupid passengers who don't get a say in what happens to our own bodies. We can have the perfect combination today of technology and touch. That is what modern midwifery care CAN bring to a birth. Take a look. Try it out. You just might be pleasantly surprised at what you find. Thank you for sharing your beautiful story. I get a little jaded. And congrats on your upcoming VBAC!!!! This is so very true, and the same happens in Australia. Women are made to feel like an OB is necessary but evidence shows one-on-one midwifery care has better outcomes. My own personal experience? 2 births with an OB resulting in 2 c-sections, not so nice. Third with an independent midwife, beautiful experience, perfectly physiological birth, perfect baby. The proof is in the pudding! Just had to share an experience I went through in the past week. I am planning a homebirth with a CPM, but had to take a trip to the ER last week due to chest pain. When the ER doc came in, he asked about my OB, and of course I told him I didn't have one, but was seeing a midwife. He seriously scoffed at me, with jaw dropped and then shook his head and said to me, "I don't understand why you women see midwives and don't think you need an OB. You HAVE to have an OB." Um...WOW. Not only was his comment completely rude and insensitive, but completely WRONG. What a sad state our whole medical system is in when it comes to their view of midwives. While I agree with 98% of your post, I loved your disclosure the best. I agree that the vast majority of OBs are exactly what you say...and worse in some cases. But many midwives (especially in our area) practice just like the OBs. It's very difficult to find a good care provider. period. I'm blessed to have an awesome OB for my second VBAC that actually opened my eyes and has pushed me to see birth differently. ellasmom, that is AWESOME! I had a similar situation, but a different outcome. I started with a CNM, got to go through a couple due to the rotation at the hospital and found one who was fantastic. She saw me for quite a few of my appointments and then my 37 wk check up, I got to see a male CNM-which I wasn't happy about. He scared the bejebuzz out of me! The following week, based on HIS recommendations, my wonderful CNM indicated induction. This was my 1st and I hadn't found websites like this that helped make better educational decisions (through personal stories and great links), so I bowed to the pressure and was induced at 38 wks 6 days. I ended up with an emergency c-section after 18 hours of labor process, about 6 hours active labor. Since they induced me and then decided to break my waters, I ended up with a little one that had his head in the wrong position to come out. The OB that came in the middle of the night to give a final opinion said that my uterus had stopped working and was actually having longer times in between contractions and that my son wouldn't come out on his own. My son was finally born and all that was great-he was perfect, but now I really want a vbac for my next pregnancy (not there yet though!). I spoke to the OB that delivered my son and she said I was high risk since I had "failure to progress". No CNM will touch me since I had 1 c-section and I live in ND where there aren't a whole lot of other options. Any suggestions on where to turn from here? I love seeing the good stories that people have, but I want to have one of my own someday!!! HollyS-I don't know the laws in ND, but here in Oregon we aren't considered high risk with one cesarean after just a failure to progress. I guess I just won't take that as answer for me though. Have you tried calling your insurance and having them refer you to different OBs in the area? It may take a few different ones to meet until you find "the one", but in the end I bet it will be worth it for you. You can even start looking now since you aren't expecting and you have no time constraints. Good luck on your search! I guess I must be very lucky! I've had 3 births with 2 different OB's. (#'s 1&2 with the same OB) Both very gentle & caring, always made sure all of my questions were answered, sometimes even asked "Are you sure?" when I said I didn't have hany questions. I never felt rushed during my appointments & also rarely had to wait for more than a few minutes. Births went well & I never felt pressured into anything. I was even told it would be better hold off on the epidural (which was MY choice, hate me if you must). I did on 2 occations, once with each OB, see the CNM in the office rather than wait when my OB was in a delivery. On both occations the heartbeat couldn't be found with the doppler, something I've never had this happen with the OB. The first time I was 16 weeks, still in the prime miscarriage window, and leaving the next day for 2 weeks for a Christmas vacation. Her response: "I'm sure everything is fine. Have a nice holiday!" Needless to say I didn't have a nice holiday (my first child's 1st Christmas). I was worried/stressed the whole time until I got home & saw my OB. The 2nd time the CNM brought in a portable ultra sound to visualize the heartheat, so at least I left knowing everything was fine. I know my CNM experiencce is annecodtal, but consequetnly I will never see anyone other than an OB. I am very supportive of other women who make different choices & hope they have the wonderful births they want. Hollywood - Have you contacted any ICAN (International Cesarean Awareness Network) chapters in your state? My chapter was great with recommending providers. And there are LOTS of women that I know, like probably 30 or more who we're induced and told that they had 'failure to progress' or cephalopelvic disproportion and went in to have perfectly normal (non induced) labors and births. It is amazing what your body can do when left well enough alone and not be forced into labor. All that to say, you are NOT a poor candidate to VBAC. For many women, go into labor naturally makes ALL the difference in the world as far as how long labor takes, how well positioned baby is for birth, how baby tolerates labor, and how smoothly the birth can go. Ahem, off of soapbox now. In our area, many midwives (including many home birth midwives) have a higher cesarean rate than my OB did. Of course, this is the guy who has taken vba5c and has assisted two triplet VBACs. One of them on a mom who was a vba2c and had not had a previous vaginal delivery and ended up pushing out 18lbs of babies at almost 38 weeks. He is... Quite different from many OBs. That being said, we have several groups of hospital based midwives that are amazing and provide amazing care to their patients. He isn't the crunchy, warm and fuzzy type, but he is committed to his patients and their care. There aren't many like him. Ahh, stupid autocorrect. The first part of my post was to HollyS *not* Hollywood. That's pretty funny. Catherine, I have been called much worse than Hollywood! I like that your auto-correct called me that! ND doesn't have an ICAN chapter but I did email the Midwest director. Ellasmom, I will see what I can do with the insurance companies suggestions, but it is through my husband's job and they are somewhat difficult to contact. Thanks for the suggestions, ladies!!! We were unable make many choices during my pregnancy because I was so high risk due to a disease I have. Everyone wanted to immediately send me to the doctors that only handle super high risk patients and to be honest they were very technical and made me feel like I was just another stop in their day. I was lucky that my OB stepped up and took my care on, she sat with me when I was worried and listened to my fears and was even willing to let me birth naturally if I stayed stable, unfortunately we had to do a c section in the end. I wish we could have done things differently, but in my case I was medically compromised and an OB was necessary. I saw the other docs and they lacked compassion that my wonderful doctor had. I think that there should be more OBs out there that are willing to trust in the woman's body to do what it was made to do and willing to give those of us a chance instead of scheduling a c section because we were too high risk to have a midwife or deliver in a birthing center. I enjoyed this post and I believe that if my medical conditions had not existed I would have loved to have had a midwife. I enjoy your blog even though I couldn't have an intervention free birth I think its absolutely beautiful.